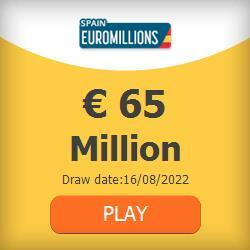 Take part in the EuroMillions Superdraw by playing online from anywhere in the world. Here’s everything you need to know about these special draws, the amazing jackpots they offer and how to buy your tickets online. What is the EuroMillions Superdraw? The EuroMillions Superdraw is an event draw hosted by the EuroMillions lottery that offers huge jackpots of at least €100 million. The announcement is made a few weeks before the event. This way, you have all the time you need to put in your tickets for the big game. 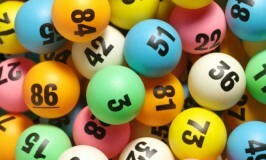 The EuroMillions hosts Superdraws a few times a year, but they are not usually linked to any special events. The upcoming EuroMillions Superdraw is set to take place on June 7th, 2019! The jackpot will be a whopping €130 million, so save the date and don’t miss out on the excitement coming to the EuroMillions this summer! Where Can You Play the EuroMillions Superdraw Online? You can buy tickets for the EuroMillions Superdraw online on theLotter, the world leading lottery messenger service. Just set up an account on the website and you can purchase your tickets there. The company’s local agents will then buy the official Superdraw tickets on your behalf from a registered retailer in one of the EuroMillions countries. Play with Syndicates – enter the Superdraw together with a group of players and increase your chances of scooping the big jackpot. Play with Bundles – play with a ticket and a share in a syndicate for a diverse lottery experience in the EuroMillions. You also get a better price for both of them. Play with Systematic Forms – use statistics to your advantage and play with every possible combination of your lucky numbers. If you match the drawn EuroMillions numbers, you will have more prize-winning tickets. The jackpot for the EuroMillions Superdraw is worth at least €100 million. It will have the announced amount regardless of how big the previous jackpot gets. The first prize in regular EuroMillions draws starts out at €17 million and then it can get as high as €190 million, which is the game’s established cap. For Superdraws, jackpots are of at least €100 million, which is a significant boost. If the Superdraw jackpot is not won, then the amount increases further in the following draws until it reaches the €190 million cap. After that, the first prize stays at the maximum amount for three more draws, at the most. If there is no jackpot winner on the fourth €190 million draw, then the entire amount is split between the winners of the following category. With such anticipation for these special draws, people are curious to know how to find out everything about them. We’ve answered the biggest questions about the Superdraws so that you’re ready to play. Are there any special rules for the Superdraws? No, there aren’t. The EuroMillions Superdraws have the same game format as the regular draws in this lottery. The numbers are drawn in the same way, from the same guess range. The only difference is the jackpot, which is higher. You still have to match the 5 main numbers and the 2 Lucky Stars to win the pot. Are EuroMillions Superdraws held on special occasions? Are the Superdraws tickets different than EuroMillions tickets? No, they aren’t. As the Superdraws follow the same rules as the usual draws, the tickets are also the same. If you have an active subscription to the EuroMillions, then your tickets for the Superdraw are assured.